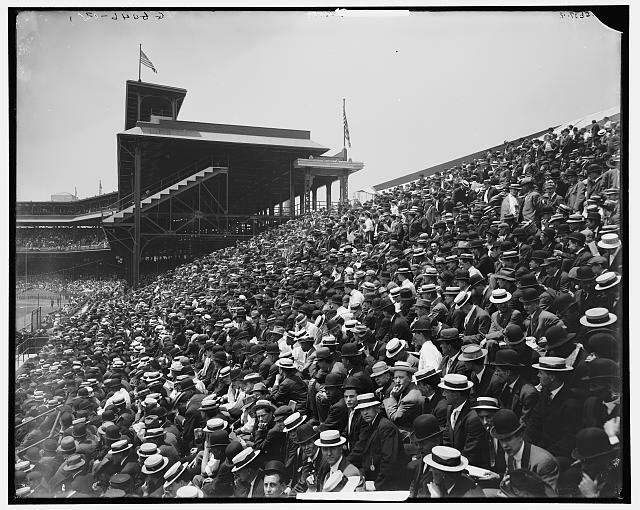 The Forbes Field bleachers full of fans sometime between 1900 and 1915. Library of Congress, Prints and Photographs Division, Detroit Publishing Company Collection. Welcome to the Society of American Baseball Research (SABR) Business of Baseball Committee website. The committee mission is to study all aspects of baseball administration and off-the-field activity including economic, organizational, labor and legal issues. A collection of documents relating to the business of professional baseball. A list of scholarly articles on baseball business. The archive of the committee's newsletter, Outside the Lines. If you have any questions not answered here, please see our contact page. For information on citing materials on this website in research works, see our citation help page.